I had been married for 15 years before I made my first batch of chili. I grew up eating my grandmother's amazing chili, but her recipe started with soaking beans overnight to make ham hock and pinto bean soup the next day, then using the left over soup the following day to make chili. Three day chili soup is really delicious. Win a chili cook off delicious. But not really a recipe meant for moms that don't plan dinner ahead of time and have kids that won't eat ham hock and pinto beans soup. But one day I decided that I did want to make chili and I would use canned beans and just not tell my grandmother. 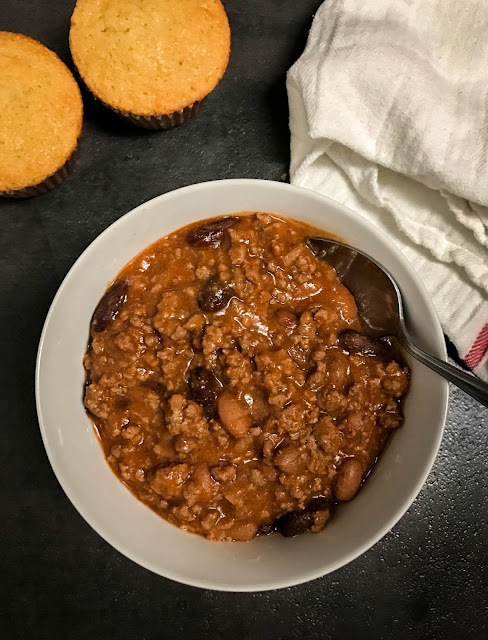 This is the quick and easy and still really yummy chili recipe that I use when the weather gets cold and rainy. 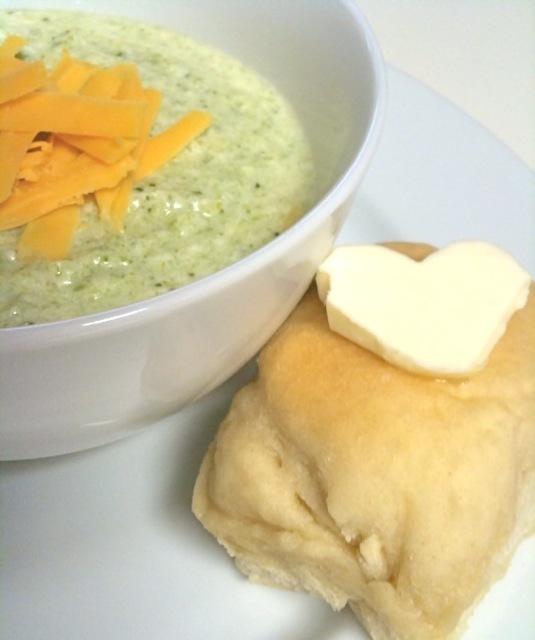 It is great with cornbread, perfect with tortilla chips, and just right for making walking Frito pies! In a large pot, brown the ground beef with the garlic and dried onion flakes over medium high heat. Once browned, drain off the excess fat. Add the chili powder, cumin, and salt to the meat and stir until combined. Add the tomato sauce and beef broth and let simmer, covered, over medium low heat for an hour, stirring occasionally. If the chili becomes too thick, stir in 1/4 of a cup of water. Mix 1/4 cup masa harina with 1/2 cup water. Once completely combined, stir the masa mixture into the chili. Then drain and rinse the pinto beans and red kidney beans and add them to the pot. Let simmer for 5 to 10 minutes to thicken, salt and pepper to taste and serve. Don't forget to bake up a batch of Sweet Honey Cornbread Muffins to go with it!